You have to go back to 2007 to find the beginnings of Northward, singer Floor Jansen (now of Nightwish) and Pagan's Mind guitarist Jørn Viggo Lofstad unexpectedly finding themselves on stage together at Progpower USA. Instantly realising there was a musical chemistry, and even though they'd only just met, the duo teamed up afterwards and started to write some songs. With the sessions rounded out by TNT bassist Morty Black and drummers Django Nilsen and Stian Kristoffersen (Pagan's Mind), while it might be a stretch to call Northward a super-group, there's no denying that those involved are super talented. 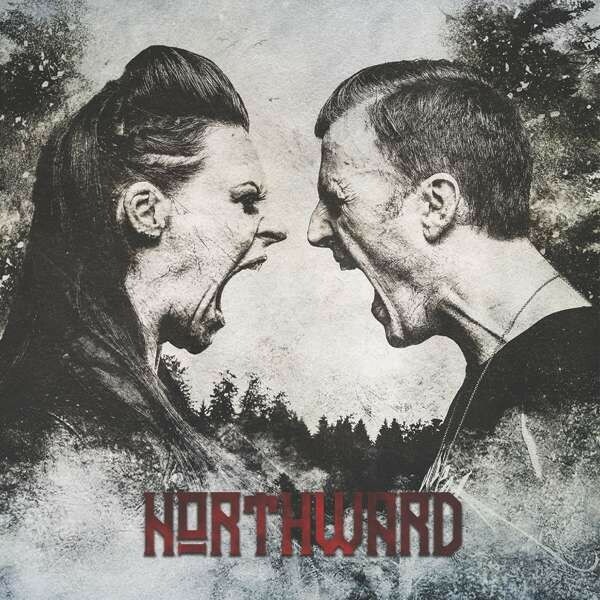 Schedules, projects and bands took over and, until now, it appeared Northward were destined to be a missed opportunity. With Lofstad known for being the guitar force behind one of the best Progressive Power Metal acts around and Floor Jansen long associated with Symphonic or Progressive outfits, it would be understandable to expect this latest venture to follow suit. This easily-made assumption would be totally wrong! Instead of the expected, 'Northward' is packed with Melodic Hard Rock choruses, mighty hooks, riffs aplenty and some sharply memorable melody lines. Lofstad's guitar playing truly shines here, and in a very different way to how it does in Pagan's Mind, with fluid solos that remind me of Joe Satriani and Vinnie Moore the icing on a cake of riffs that could have tumbled out of anyone from Def Leppard and Alter Bridge to Skunk Anansie. Opener 'While Love Died' throws out an 'Achtung Baby!' era U2 judder as Floor Jansen reminds us of the versatility she has at hand. Some may dispute it, but across this varied set, I'd suggest this is the lady's best all-round performance to date. 'Get What You Give' offers a staccato burst of Halestorm-like Hard Rock, 'Paragon' a proud strut of mid-paced majesty and 'Big Boy' the boldest burst of melodically crunching guitars you could imagine. 'Bridle Passion', on the other hand, is a sweet acoustic ballad full of fragility and beauty, whereas 'I Need' is a full-force, guitar-fuelled monster that rips and roars. If that wasn't enough, Floor Jansen's sister, Irene Jansen, shows up for the stunning duet 'Drifting Islands' and matches her sibling note for note. This may be an unexpected, unheralded album and it may have taken more than ten years to come to fruition, but Northward are nothing short of phenomenal and their self-titled debut is the biggest and best surprise of 2018.